Alpine skiing might get all of the attention, but sixty miles of groomed Nordic trails connect Aspen, Snowmass, and Basalt, making for some of the best cross-country skiing terrain in the country. 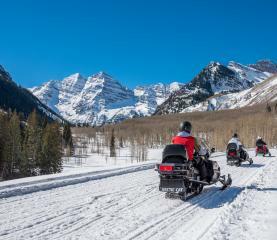 The Aspen Snowmass Nordic Trail System operates Cross Country Centers in both Aspen and Snowmass for all of your equipment needs and offer private and group lessons, cross country ski tours, special events, and more. 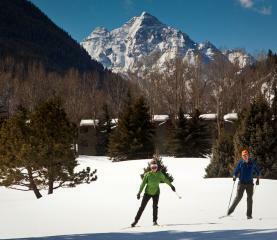 Check out Aspen Trail Finder for cross country ski trails and maps. Full cross-country ski center. Ski rentals, lessons, tours and retail. On the tracks at the Aspen Golf Course. Open Thanksgiving to the end of March.